It's the 10th annual Planet Head Day. A fundraiser for a local cancer support group. 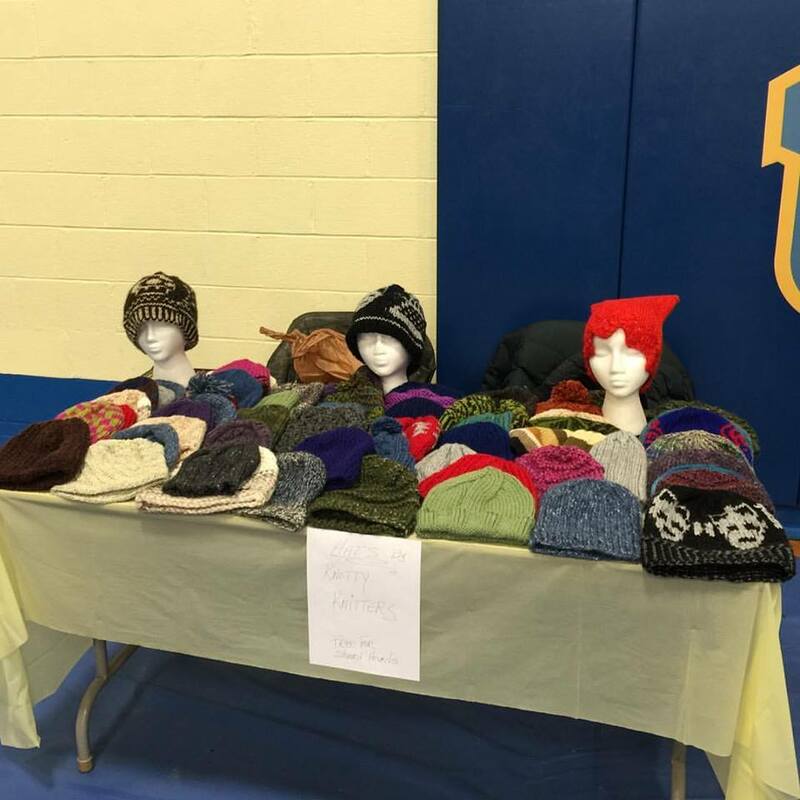 My knitting group donates hats for the folks that shave their heads, and leftovers are put into care baskets that go to patients in the support group. Creative on so very many levels. Brava!